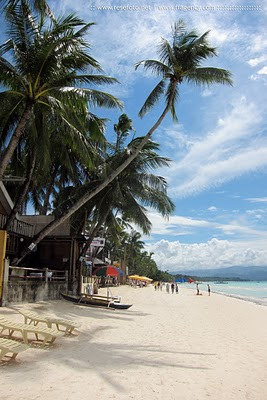 Boracay Island has more than a dozen beaches and many coves. The most famous and popular boracay beach is the almost four kilometres long White Beach, which has been named several times as one of the best beaches in the world. Photo by Anders Thorsell.